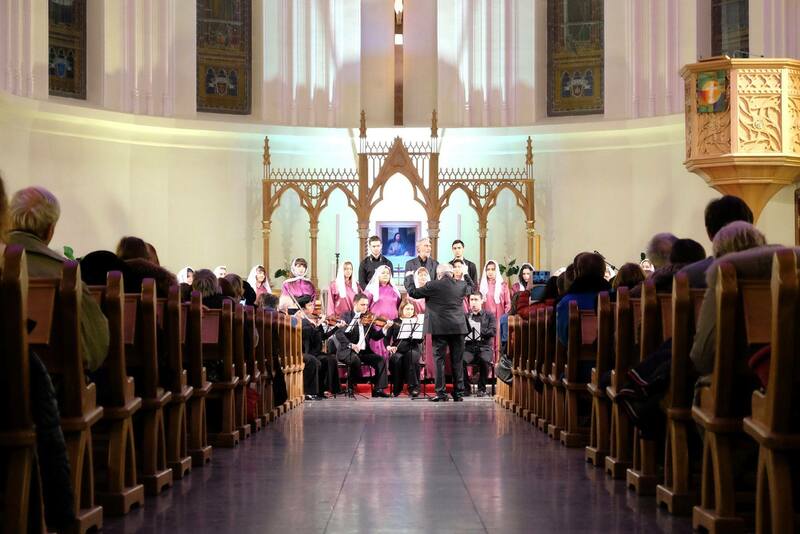 An evening of Christian music dedicated to the unity of Christians under participation of choirs of the Lutheran, Catholic, Armenian and Evangelical churches. Dietrich Brauer, Archbishop of the Evangelical-Lutheran Church of Russia, said in his greetings: “Dear brothers and sisters! Five hundred years ago, the Reformation began. Martin Luther prompted the church to do reforms, so that it should be able to fulfil the Great Commission given by Jesus Christ – to preach the world the Gospel and reconciliation of humankind with God. However, peace with God is going hand in hand with peace between people. A person acquires faith in God, becoming a child of God without any merits of their own, solely by grace. Thus, in another believer a believer cannot but see a brother or sister. A Christian cannot but regret the division of the church, striving to obtain unity. The ministry of reconciliation about which the Word of God is talking so clearly today is our common ministry. It takes place under the sign of the Cross. The Cross of Christ is the eternal sign of reconciliation between God and humankind. But the cross is also an eternal call to repentance. We really have nothing more to quarrel over when we are engaged in a ministry together. For the life of a Christion is the ministry of reconciliation. Today, dear brothers and sisters, I am praying to God to bless each of us to engage in this ministry of reconciliation in the name of Jesus Christ, to help us grow in the spirit of mutual acceptance, forgiveness, encouragement, love and the promise of unity for the Church of Christ.” The Metropolitan of the Archdiocese of the Mother of God in Moscow, Archbishop Paolo Pezzi, also addressed the believers. 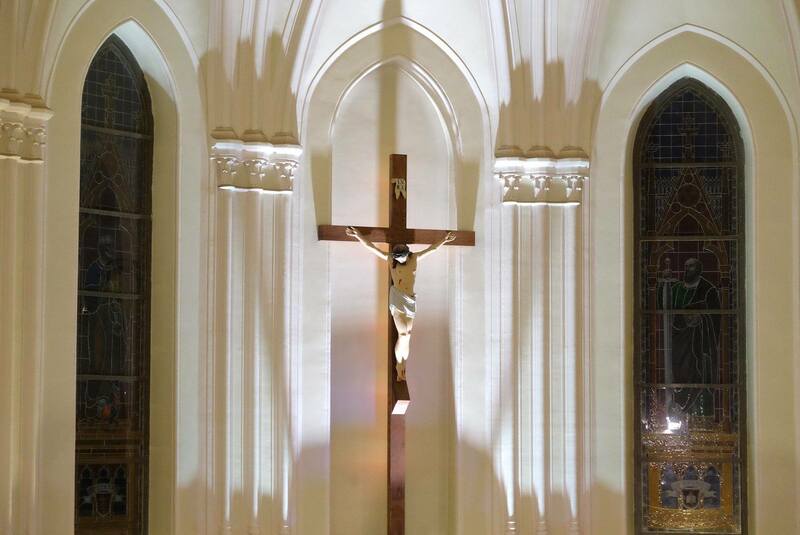 He stressed that the worship services of the Week of Prayer for Christian Unity this year are taking place in the Catholic cathedral and in the Evangelical-Lutheran cathedral: “It especially pleases me that this year we can pray together several times. Yesterday it was in the Catholic Church of the Immaculate Conception of the Virgin Mary, today in this marvelous Lutheran church, tomorrow in St. Andrew’s Anglican Church. These are signs showing that deep in our hearts we desire to be together. What unites us is the love of Christ.” The ecumenical worship service was accompanied by the singing of choirs from different confessions: the chapel choir of St. Peter’s and Paul’s Cathedral, the choir of the Catholic Church of the Immaculate Conception of the Virgin Mary, the Armenian Apostolic Church and the “Church of God” at Tsarytsino (Russian united Union of Christians of Evangelical Faith). Hymns were not just the musical part of the evening. 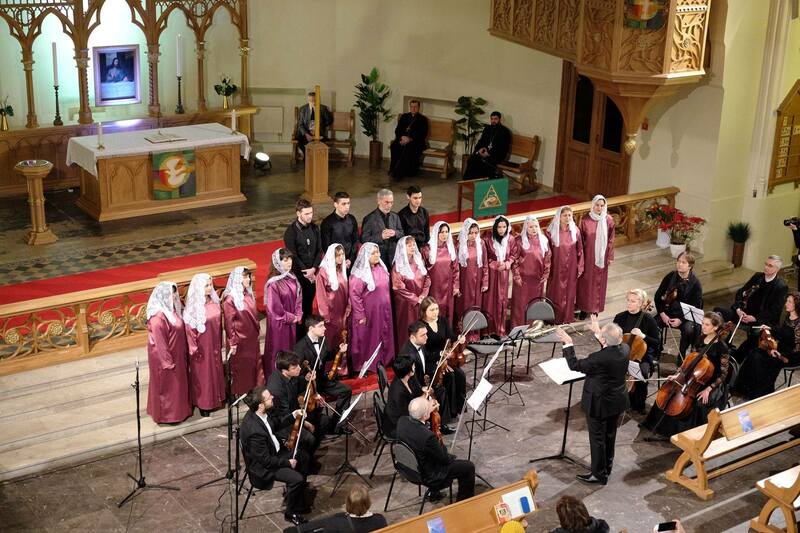 They also helped everyone who had come to the cathedral to feel our common Christian roots and culture more deeply. As Father Patrick, the Chaplain of the Anglican Cathedral, said in his speech: “Music is not only an international but also an ecumenical language. Music is a strong help for coming to the Lord, for preaching the Gospel.” During the worship service representatives of the Department for External Church Relations of the Russian Orthodox Church, the Armenian Apostolic Church, the Christians of Evangelical Faith, the Evangelical Christians – Baptists, the Russian united Union of Christians of Evangelical Faith and the Seventh-Day-Adventists addressed the congregation. 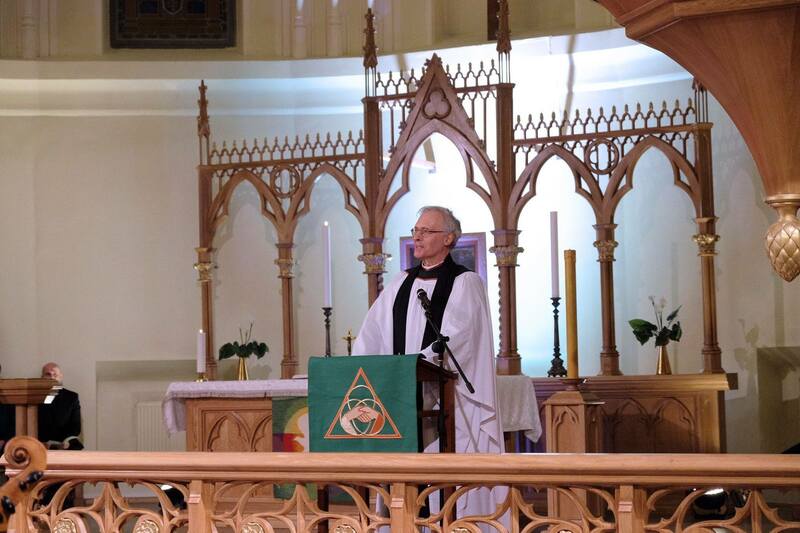 The worship service was closed by the Lord’s Prayer and a blessing from Archbishop Dietrich Brauer. 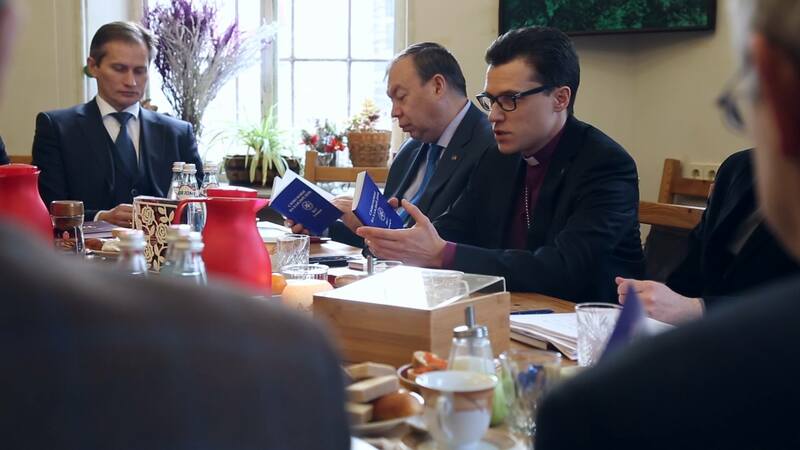 On January 18, there was the first meeting of the committee organizing the events to take place for the 500th anniversary of the Reformation. 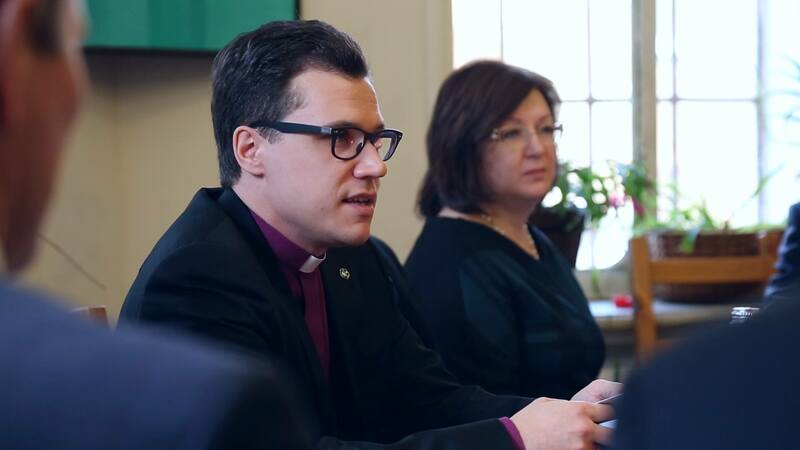 The organizer of the meeting was the Evangelical-Lutheran Church of Russia. 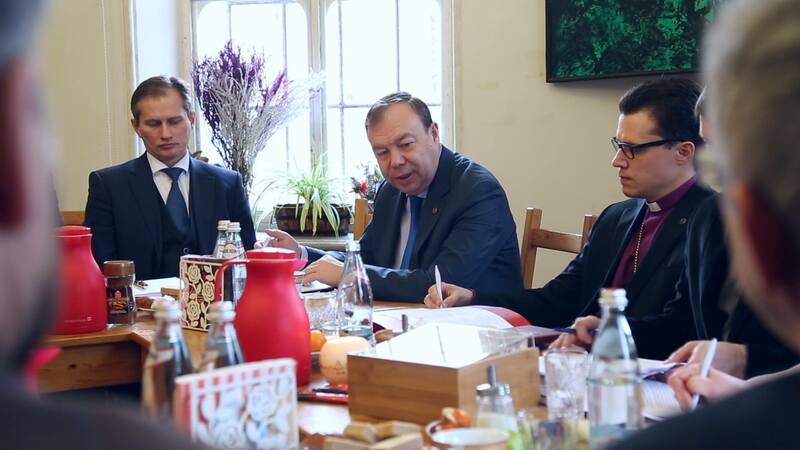 Representatives of the Protestant community, the Roman Catholic and the Orthodox confession, the International Union of German Culture as well as representatives of the presidential Administration of Russia and the city government of Moscow were present. Archbishop Dietrich Brauer opened the first session of the committee. In his greetings to the participants, he noted that the jubilee of the Reformation would be celebrated extensively in the entire world including Russia. This jubilee shall become not only a festivity but also a reason to make sense of the errors of the past and to overcome the contradictions within the Christian church as a whole: “We need dialogue, being in touch with each other. That is why we have gathered here, so that this year of the 500-year jubilee of the Reformation might become a possibility for us to find new touch points for the greater glory of the Lord. All of us are overthinking our actions within our churches, and again and again we come to the need to repent and bow down before the Lord, the Giver of all mercy.” During the meeting, the schedule of events celebrating the Jubilee year was coordinated. They will take place in Moscow as well as in the regions of Russia. The first important event of the year will be the joint conduction of the Week of Prayer for Christian Unity. Catholics and Lutherans of Russia decided to revive a former tradition and have events take place in the churches of both confessions during the Week of Prayer for Christian Unity from January 18 to 25 of 2017 in order to confirm the mutual wish to go from division to full community in Christ. General Secretary of the Conference of Catholic bishops of Russia, Chancellor of the Curia of the Archdiocese of the Mother of God in Moscow Father Igor Kovalevsky noted in his speech that the Catholic Church is ready to take part in different events of the 500th anniversary of the Reformation in order to testify to the values of the Gospel together. He suggested throwing more light on the Catholic-Lutheran dialogue in the world so that parishioners of all confessions could grasp its contents. The main thing is making more sense of the Gospel, as Father Igor Kovalevsky emphasized. The representatives of the presidential administration and the city government expressed their honest wish to help and support the organizing committee in every way in conducting the events of the Reformation jubilee year. A collective prayer and a blessing by Archbishop Dietrich Brauer closed the meeting. 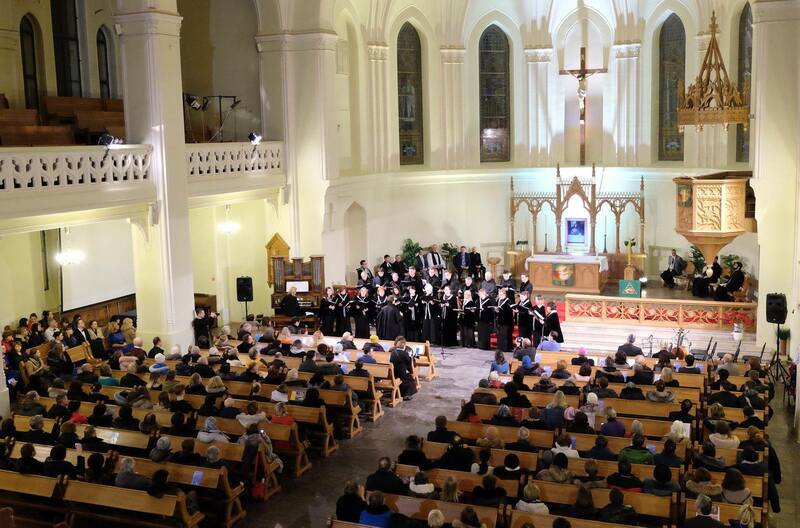 A part of the choir of Moscow Congregation, our provost and our volunteer visited the congregation of Smolensk on the 12nd October 2014. After our arriving we did a little walk around the autumnal city. 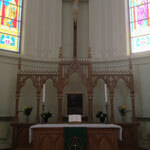 We visited the lutheran church, but it is in possession of the town yet. In front of the church our choir sang few songs, that prompted curious passersby to stop and listen. 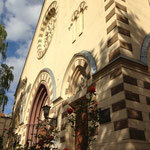 After lunch we went to the Baptist's church, where the services of the lutheran congregation happen. Many people of the congregation came to celebrate the holy communion. Our choir sang many new songs and delighted all present. A group from Smolensk presented an autumn poem in German. At the end we gave books and bibles from Moscow, that the people received gratefully. 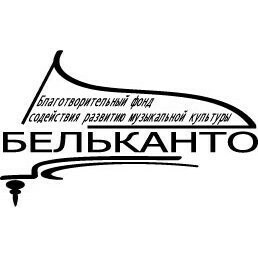 The 4th General Synod of the Protestant –Lutheran Church of Russia happened in St. Petersburg in the theological seminar of ELKRA in Nowosaratowka from the 17th until 19th September. possibilities for a collaboration between church and city were discussed while the meeting. The slogan of the highest council of church was: „Go therefore and make disciples of all nations, baptizing them in the name of the Father and of the Son and of the Holy Spirit, teaching them to observe all that I have commanded you. And behold, I am with you always, to the end of the age”. 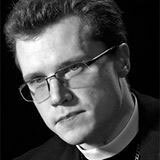 The most important happening of the synod was the election of the archbishop of ELK in Russia. Dietrich Brauer was elected, who has already connected the post of bishop with the post of provisional archbishop of ELK in Russia. His proxy is the provost Vladimir Proworow. organizations: the Lutheran World Federation, the Gustav-Adolf-Werk, the Martin-Luther-Bund, the Protestant Church of Finland and territorial associations of Russlanddeutsche in Germany. 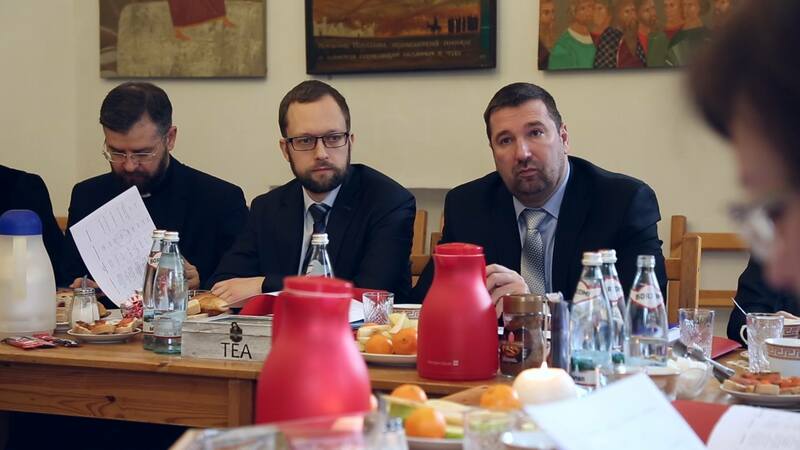 On the first work day greeting words were spoken by ecumenical guests from the Orthodox Church in Russia, the Catholic Church, the Protestant-Lutheran Church of Immingerland, the Russian Association of Christians of Evangelical Belief and the German consulate general in St. Petersburg. The main speech was from Martin Junge with the topic „The mission assignment of church today”. He accented in the beginning of his speech: „You are not alone thinking about this fundamental questions. Far away from the scope of our church other churches thinking about what are their tasks and what they could offer in their context, too”. In the discussion about the speech Olga Temirbulatowa noticed: „We are part of the worldwide lutheran church. The conduct of our church has to consider seriously the interdependence to the government and the Russian Orthodox Church. This is a necessary requirement for our mission. If we have a certain status in society we can work locally on another way”. 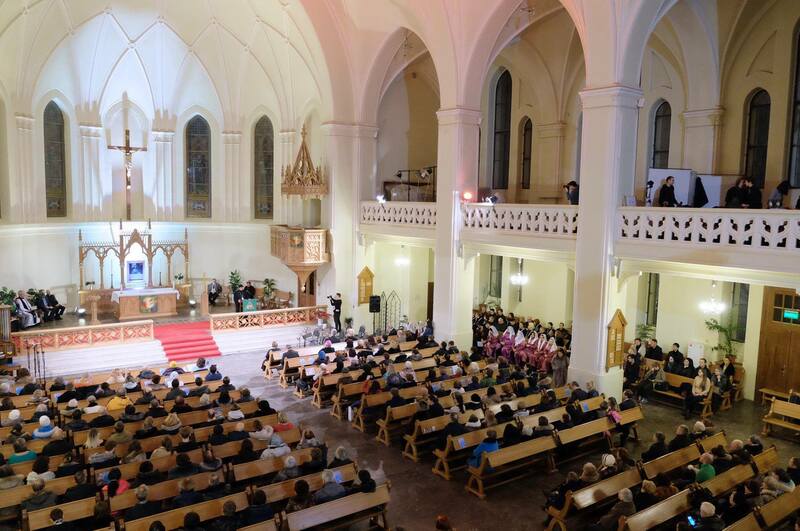 In the end of the general synod a festive service in the St. Petri and Pauli Cathedral happened, where archbishop Dietrich Brauer was consecrated for his job. Also his proxy Vladimir Proworo and Brandon Buergle for his job as educational project leader were consecrated. Dietrich Brauer was born in Wladiwostok on the 3th January 1983. From 2001-2005 he studied on the theological seminar of ELKER in St. Petersburg in Nowosaratowka. 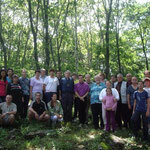 From 2005-2010 he worked as pastor in the region of Gussew in the deanery of Kaliningrad. In March 2010 he was appointed as the episcopal Visitator of ELKER. On 11st March in 2011 he was elected to bishop by the XVIII synod of ELKER. Dietrich Brauer is married and has two children. The inauguration will happen in Moscow in the next months. From 3rd to 9th 2014 an ecumenical encounter happened with women from Halle, Berlin and Moscow. It happened as part of the women`s work of ELKER and was supported by the Gustav-Adolf-Werk. 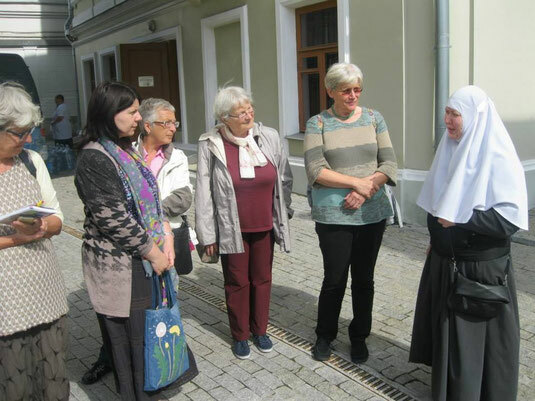 Lutheran and catholic women took part and visited the Martha and Maria- Convent in Moscow. We conversed with sisters of the Russian Orthodox Church. The encounter included bible work for the women from Germany and Moscow, common conversations and walks. It was the first time that such an encounter happened in the congregation of Moscow. 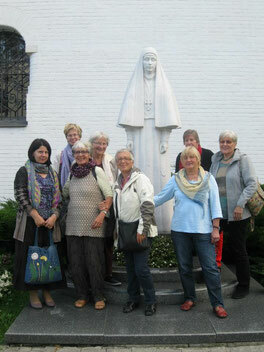 Every participant liked it and it enriched our women`s work in the central deanery of ELKER. On their last day our guests visited the divine service with Holy Communion and enrollment celebration. On the 4thSeptember we visited together with a group of women from Halle the orthodox Martha and Maria Convent in Moscow. It was the first time that a group of our congregation was invited in an institution of the orthodox church in Moscow. Sister Serephinam showed us the various rooms of this diaconal institution and explained everything. Elena translated from Russian to German. The convent was founded in 1909 by Elisabeth from Hessen- Darmstadt, they cared about orphans, people in need and invalids, who received a free medical treatment. Today it`s still a center of beneficent work. They coordinate the volunteer work in Moscow, homeless people get help and it`s a contact point for refugees. Furthermore there`s a kindergarten for disabled children. In the modern treatment rooms they help children with polio. Another job of the sisters is to find sponsors who finance the medical treatment in some cases. After that exciting behind- the- scenes tour we were invited to have a tea. We got in conversation and shared informations. A big thank you for the hospitality and the interesting tour! We hope that there will be more events like that in the future! The theological seminar in the context of womens`s work of ELKER happened in the deanery of Kaliningrad from 28th to 31st August 2014. Female pastors, preachers and church workers congregated in Swetlogorsk (Rauschen) on the coast of the Baltic Sea for the fourth time. The first seminar happened in Erfurt in 2010, Samara in 2011 and in Kasan in 2012. The advisor was traditionally Christina Schnepel, who is pastor in the German embassy congregation. 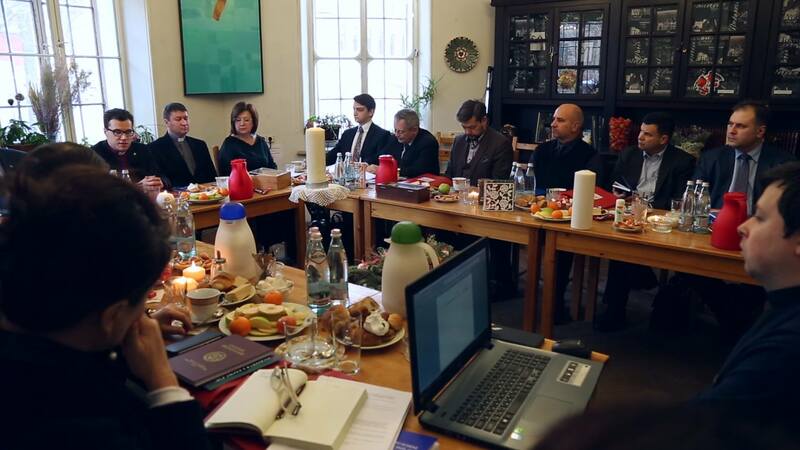 The participants from Moscow, Samara, Togliatti, Kasan, Baku, Krasnojarsk, St. Peterburg and Kaliningrad discussed about the importance of Martin Luther`s reformation breakthrough for pastoring and took part in many events of the deanery. Sofia Tikhomirowa and Swetlana Jantschurkina participated for the first time as pastors, they were ordained on 24th August. The coordinator of the diaconal work of ELKER vicar Elena Kurmischowa came also to Swetlogorsk, she will finish her internship in Samara in two months and will begin her new work in the congregation in Gusew and in the Karl-Bluem-House in the deanery of Kaliningrad. The councilor of the deanery confirmed her candidacy. She visited Gusew to get to know her new job. The theologians supported the synod of the deanery of Kaliningrad. 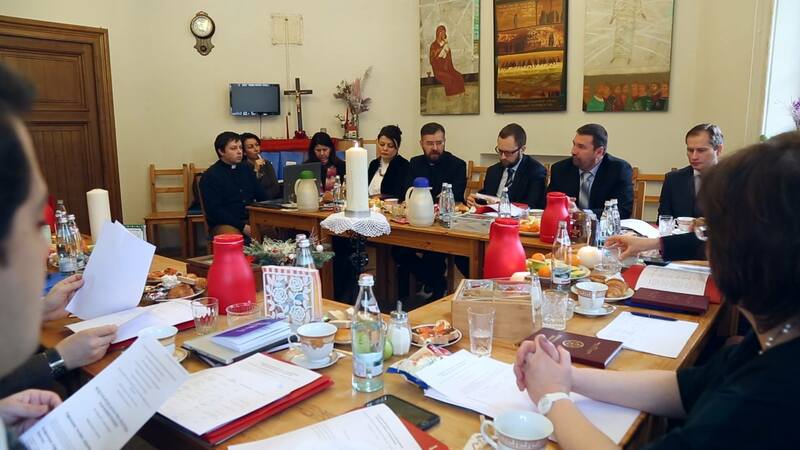 The president of the synod of ELKER Olga Temirbulatowa welcomed the participants and held morning devotions. 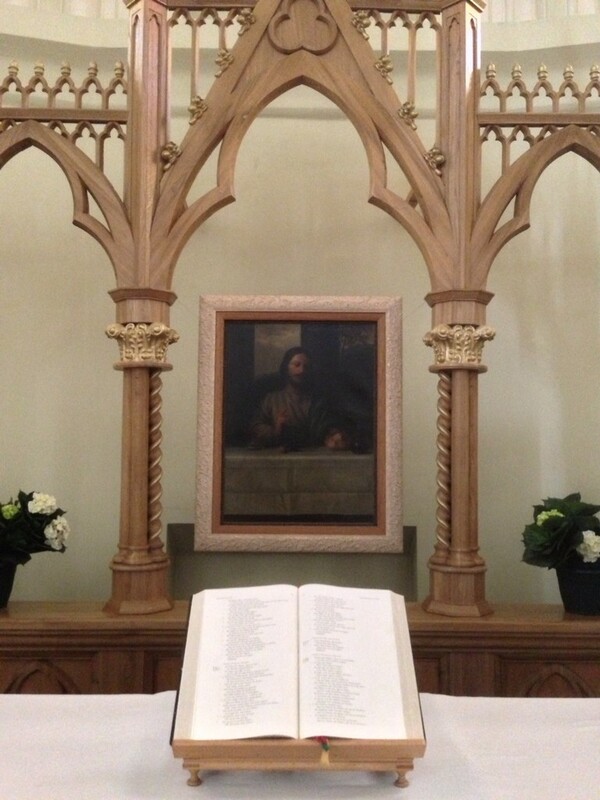 In her preaching she pronounced that we all should serve where god has planted us, like wild carnations under thorns. In the synod three new attendants of the deanery were introduced (S. Tikhomirowa, S. Jantschurkina, E. Kurmischowa). Subsequently the lector seminar happened in the “Resurrection church”. The lectors of ELKER supported that seminar. Lectors are church members of small congregations in rural areas without pastors. They recite written preachings by pastors and do liturgy without Holy Communion. Provost Elena Bondarenko from the central deanery and pastor Thomas Passauer from Berlin held the seminar. 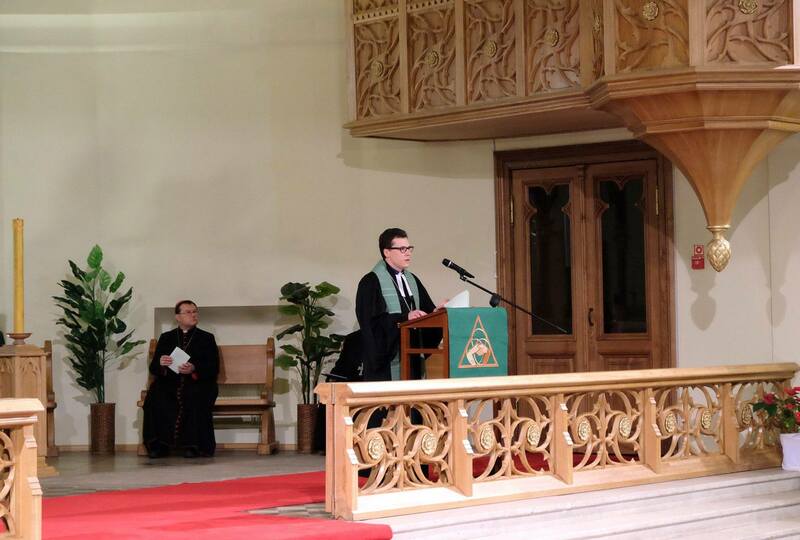 Pastor Thomas Passauer (deputy provost of the deanery of Kaliningrad) welcomed the female theologians cordially. He showed them the “Resurrection church” and invited them to lunch. We all celebrated Paulina Kaisers`s birthday, she is a preacher in Pokhwistnewo (deanery of Samara). The seminar was very intensive, it was a big participation of the work in the deanery of Kaliningrad. All participants supported the deanery work, with their attendance, huge interest and prayers. We want to say thank you to “Gustav-Adolf-Werk`s work for the cause of women” for the help and the possibility to congregate theologians from Siberia and Azerbaijan to Kaliningrad and Tschernjakhowsk on the cost of the Baltic Sea. With great anxiety we are observing the situation of tension between brotherly nations of Russia and the Ukraine. Unfortunately, as it has been many times in history, simple people become victims of political collisions of the upper society layers. We see, that Christian denominations of both countries experience the inner split. Labels are distributed, opinions get radicalized, there is an informational war. Both in the West and Russia the situation in the Ukraine is presented unilaterally. Instead of analyzing the real reasons of this crisis in the Ukraine, many people think in a stereotyped way and sometimes use the categories of the “cold war”. 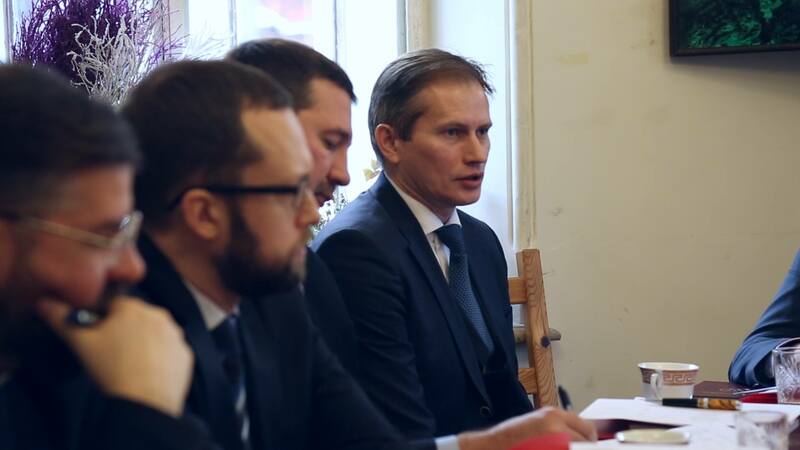 In the situation of the absence of power, which is at present in the Ukraine, the inhabitants of Crimea expressed their intention to join Russia. Being citizens of Russian Federation and living according to its laws, we accept its decision. However, we worry about the broken relationship of trust of Ukrainians and Russians. We pray God about wisdom for all sides, who are responsible for the future relations of our countries. We also express hope that the integrity of our Union of Churches will be preserved in spite of these circumstances and hope that our European and American partners will not allow the suffering of simple people from the situation of tension. As Christians we are called to think not in cliches, but to be peacemakers, preachers of the Good News of Christ and to act in love. Christ says: “Peace I leave with you; My peace I give unto you, not as the world giveth, give I unto you. Let not your heart be troubled, neither let it be afraid” (John 14:27). Children's services are parellel to Sunday service . "He was recognized by them when He broke the bread"
A dream of the Lutherans of Moscow has come true: There is, at last, an altar painting in the Cathedral! At that, the painting hat been in the chapel of the cathedral for a long time after pastor von Schlippe brought it to Russia. 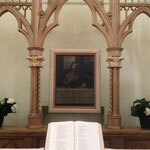 The picture was inconspicuous, black, and sometimes seemed to be even useless... As in Emmaus Jesus remained unnoticed for a long time, and the church workers continued their search for an altar painting that would fill the lancet arch of the cathedral. 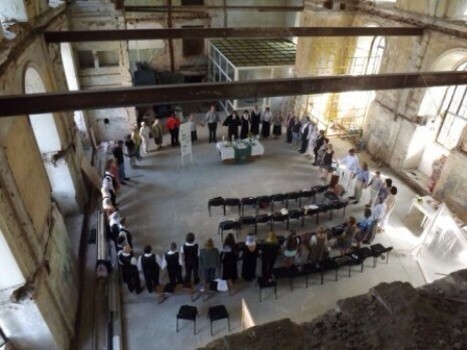 The situation changed in May when Alexandra Morosova and Olga Dzhankulieva, students of the Glasunov Academy, had a glance into the chapel at a Thursday service. They determined at first sight that this was an old 19th-century canvas realized according to Italian tradition. The young painters and restorers took interest in the black picture in the chapel at once and offered to put it in order by removing the black layer and varnishing it. While restoring, they found the Moscow Lutheran congregation's painting was an old copy of Tizian's "Supper at Emmaus" - a 19th-century painter had depicted only part of it: Jesus at the table with bread and wine. Thus He was recognized again while breaking the bread... On September, 1st, bishop Brauer will consecrate the painting during worship service. On August, 30th a former teacher at ELCROS Theological Seminary, Milton Ost, visited the ELC ER Chancellery. Milton Ost was welcomed by ELC ER bishop Dietrich Brauer. They had an informal talk over a cup of tea. 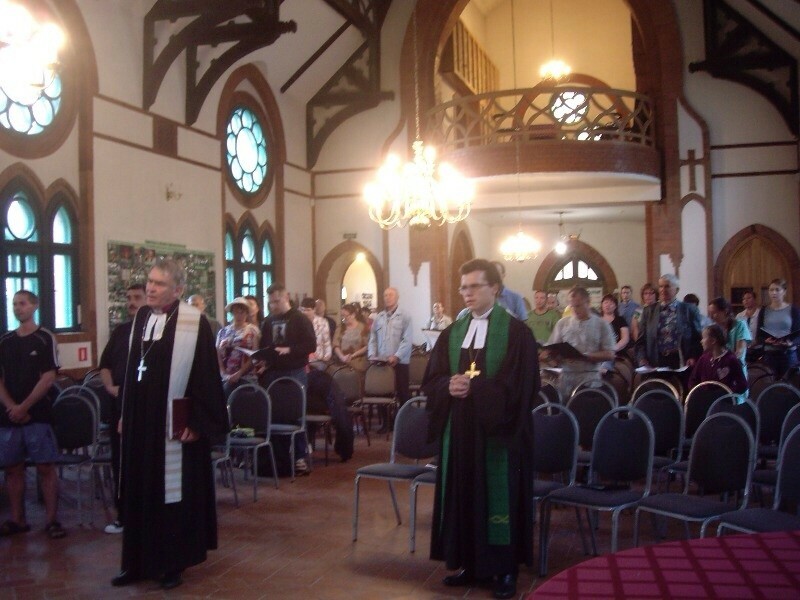 On August, 28th, a memorial service with the holy Communion was held in the Evangelical-Lutheran congregation of Smolensk. 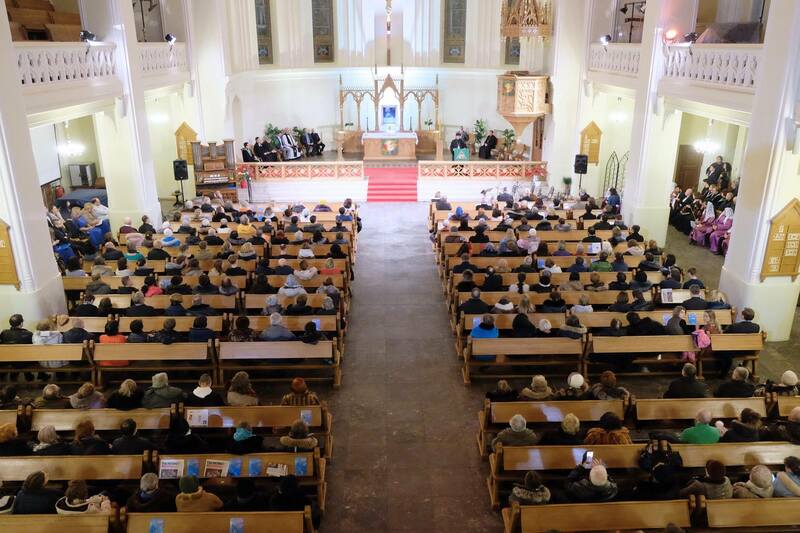 The service was attended by members of the congregations as well as guests: the chairman of the Congress of Nationalities of Smolensk region, representatives of the creative intelligence of Smolensk, the pastor of the Baptist congregation "Bethany" Pyotr Tkach and the journalist Christoph Springer representing the Central deanery's partners from Dresden-Mitte church district. A special pleasure was the presence of the congregation's children at the service. Mr. Springer is performing a motorcycle trip from Dresden to Moscow, visiting on his way the congregation in Grodno, the women's seminar in Minsk, and the congregations in Smolensk, Yaroslavl and Moscow where, on September, 1st, he will deliver a gift from Saxony to Irina Shashkova-Peterson, the organist of Moscow Cathedral (special organists' shoes). 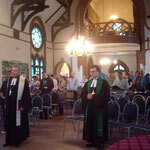 The service was led by Elena Bondarenko, dean of the Central deanery. 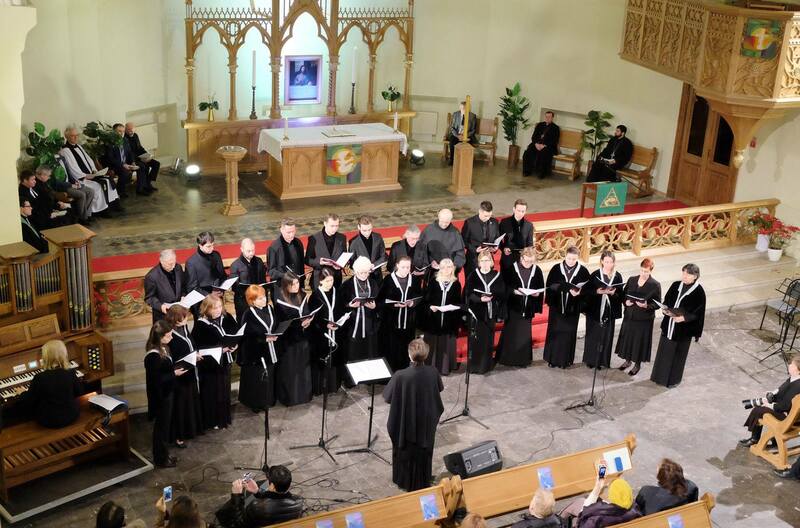 After the service Olga Trautwein, chairwoman of the Smolensk congregation, conducted a program on the day of deportation, which closed with a presentation of an album of hymns of the Germans of Russia with a disc created by A.F. Nayda from the Smolensk congregation. One copy of the album was sent to Moscow. The evening ended over a cup of tea in a warm atmosphere and a talk with the guests. 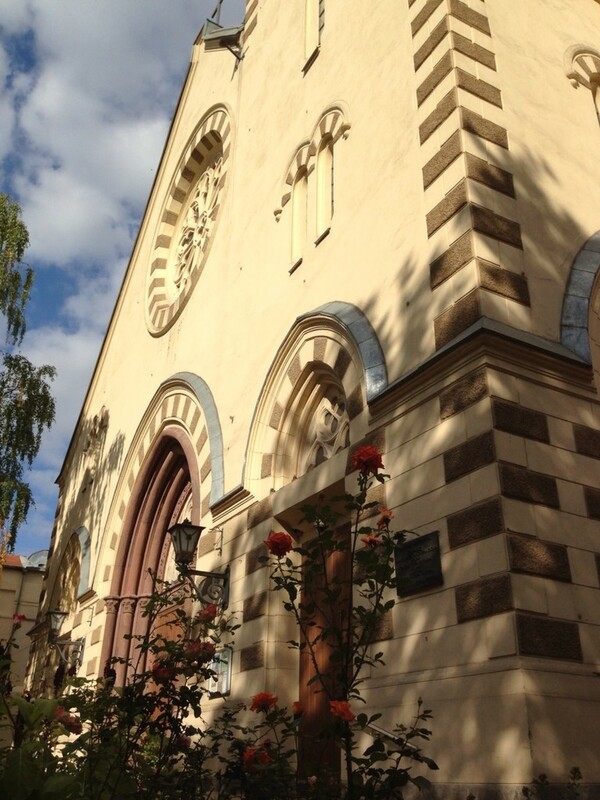 This memorial day took place in the building of the Baptist church "Bethany" whose congregation always allows Smolensk's Lutherans to use the building for worship services, as at present it is impossible for the Lutheran congregation to hold worship services in the historical Lutheran church of Smolensk due to a decision of the direction of the riding school accommodated in the building. It is marvellous when old friends come to visit you! 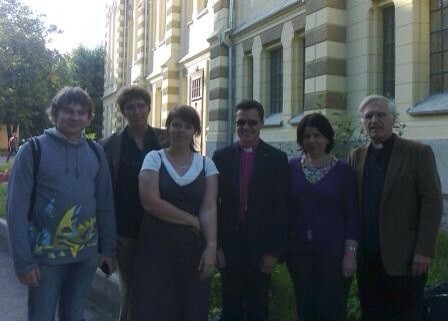 From August, 8th to 11th, friends from Kassel visited St. Peter's and Paul's congregation in Yaroslavl: pastor Karl Leonhäuser with his wife Almuth, who has been supporting the reconstruction work on the Evangelical-Lutheran church of St. Peter and St. Paul in Yaroslavl for a long time as the chairman of a fund for reconstruction assistance in the city of Kassel, and pastor Doris Krause, the head of the Gustav Adolf fund in the Evangelical Church of Kurhessen-Waldeck. The visit of the guests began with a prayer for restoration of the church within the precincts of the yet unfixed church, where it was said that a lot of efforts will still have to be made in order for the congregation to be ready to receive an organ in 2015. An organ - an instrument that has a special place in musical culture - undoubtedly will adorn the worship services and the cultural life of the city. The next day there was a meeting with Igor E. Fedder, chairman of the church council, where the accomplished works in the church in 2013 and the plans for 2014 were discussed. After that the representatives of the congregation I.E. Fedder and vicar I. Shirokov as well as the guests were admitted by Natalya V. Shaposhnikova, vice governor of Yaroslavl region. During the meeting the problems of reconstructing the building were mentioned, the regional administration promised the church representatives its assistance in reconstructing the outward appearance and installing the supplies. The visit ended on Sunday, August, 11th, with a Communion service. 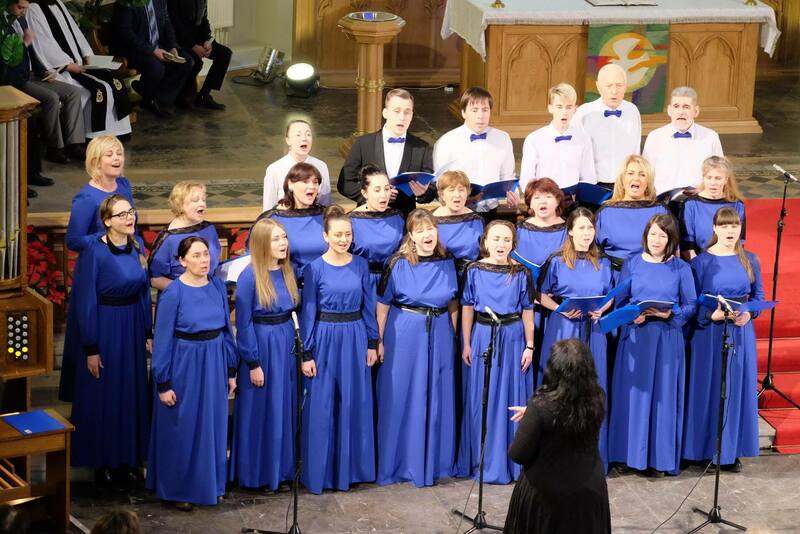 The service was accompanied by the singing of the choir "Vozrozhdenie" ("revival") whose friendship with the congregation has been lasting for many years. The visit closed on a positive and joyful note in expectance of further fruitful cooperation. Summer is ending. A new academic year is beginning and everything around us reminds us that all things have their limits, their beginning and conclusion. I'm saying "conclusion", not "end", because we know that behind the conclusion of one thing opens the beginning of something new. When we are feeling everything's fading and withering, the Lord tells us about the miracle of awakening and renewal which will unfailingly happen. Christian life also never stops dead. We are always directed forward, to new goals with new strength. If we were to make do with what we have achieved or, worse, to look back all the time, we would cease to be disciples of Christ, and the church would cease to be the Church. In the beginning of August in the Far-East Deanery there was a seminar on the topic "Church in modern Russian society". My own contributions were dedicated to the history of Russian Lutheranism, the theological apprehension of the terms "church" and "congregation" and the question of self-financing. Rector Anton Tikhomirov read lectures on the peculiarities of Lutheran theology in the context of a changing society. Within the seminar we had interesting discussions which in many respects involved new aspects not highlighted in our ambience before. All that happened here during these days was directed forward, aimed on the perspective of our church in the place of its presence. Every participant could reflect on what place they as Lutherans have in the context of their surrounding world. What special challenges are confronting them, their congregation, their church? The North-West Deanery is preparing for the arrival of the new dean Michael Schwarzkopf who will be introduced on October, 27th of this year. His knowledge of the language and traditions of Russia are undoubtedly a precious start-up fund for a blessed ministry. I hope that ministry will take place in the spirit of the call of Jesus Christ to preach the Gospel to all people, whatever their national or cultural veneer is. Two more new pastors will start their ministry in Moscow and Yaroslavl. On September, 29th, Victor Weber will be ordained in the Cathedral church (he will continue to combine spiritual ministry and administrative leadership in the church), and in Advent time Ivan Shirokov will be ordained in St. Peter's and Paul's church of Yaroslavl. Both brothers have actively worked for God's glory in their congregations as vicars, and now they will receive the ministry of pastors with love and fear of the Lord. In Kaliningrad dean Maria Goloshchapova has begun her ministry. For the first time that large church region is being led by a Russian, a graduate of our Seminary. She will be confronted with severe financial difficulties and will have to solve a lot of administrative issues in the deanery. It is really a difficult ministry, considering that in many respects a reapprehension and reform of all the system of relationships with the partners and with the congregations on the whole is taking place. 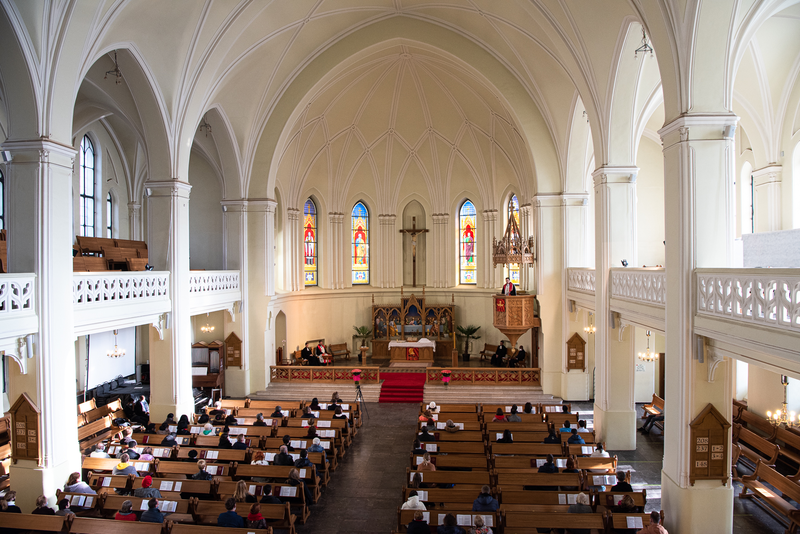 The question of self-financing of the congregations has become very acute, as have those of payment for the working personnel and membership fees. The reasons for that are not some minor errors but a system-wide failure and a wrong strategy. One of the main challenges, as I see it, will be the consolidation of the unity of congregations and their partners gathering around common issues. These issues consist not so much of the correct preparation of reports and the saving of funds (though, undoubtedly, this is also important) but in carrying out the comission of Christ to "preach the Gospel to all people". All our ressources must be directed to the fulfilment of that highest issue. Please pray for the new dean and her ministry. 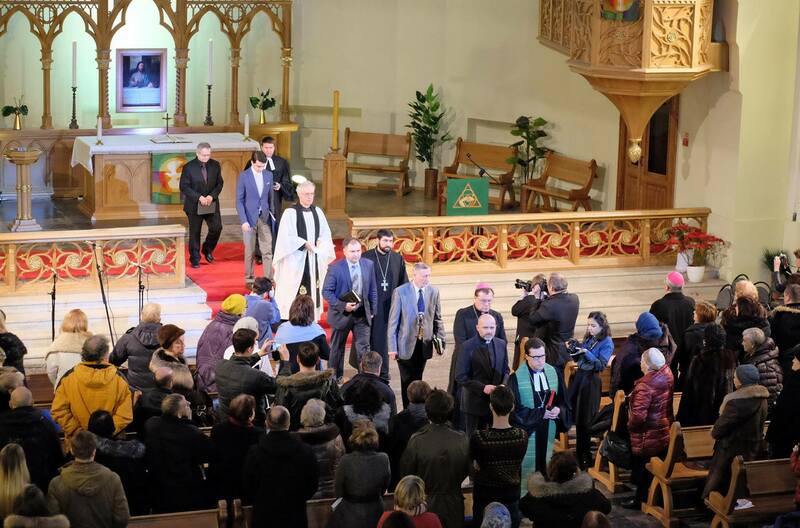 During my two-week visitation I visited the congregations of Kaliningrad, Zelenogradsk, Gusev and Svetlyy, holding worship services and confirmation classes there. 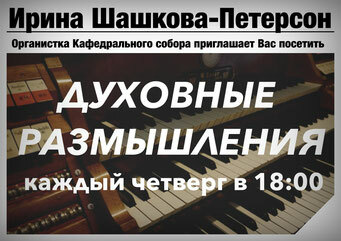 On April, 13th of 2014 the new parish hall in Svetlyy will be festively consecrated. From August, 19th to 25th the deanery underwent a financial auditing by the partners. They were fully satisfied by the transparent and responsible finance management. 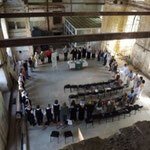 On August, 27th the colloquium for the vicars took place. Their internships were very different. We know that there are congregations and deaneries that need pastors. But at the same time every church has its specific features. The long-held traditions have to be taken into account. Not all of them are helpful for spreading the gospel. But even those traditions must be reformed with love, not condemned right away.Not all of the congregations were satisfied by the practice of the vicars, many are still looking for their future pastors. But in order to find them, the congregations themselves have to become active in the first place. Isn't it lovely when a congregation can grow a pastor, take responsibility for them and build the congregation up together with them? During summer we succeeded in finishing the expensive but necessary complex-cleaning operation of the organ in the Moscow cathedral. A particular threat to the organ was construction dust, large amounts of which got into the instrument during the construction works in the cathedral in the 2000-s. The organ should have been properly covered, but that hadn't been done. The historical instrument was seriously damaged during those years. It had to be disassembled and reassembled, but now it has been given new life. In October I am going on a trip to Leipzig and taking part in ecumenical events on the occasion of the anniversary of the Battle of Leipzig. On October, 3rd there will be negotiations in Berlin with the Church Council of Berlin Cathedral. And on Reformation day I will have the honor to preach in Wittenberg City Church - St. Mary's, where Martin Luther served. In conclusion I want, firstly, to cite the monthly "Losung" Bible verse for September, which reminds us again that in spite of all troubles and unsolved problems we are called to a joyful and thankful life in the Lord: "Do not be grieved, for the joy of the LORD is your strength!" (Neh. 8:10). And I want to wish you a happy Thanksgiving day! May there be rich good fruit in your life and your congregations! 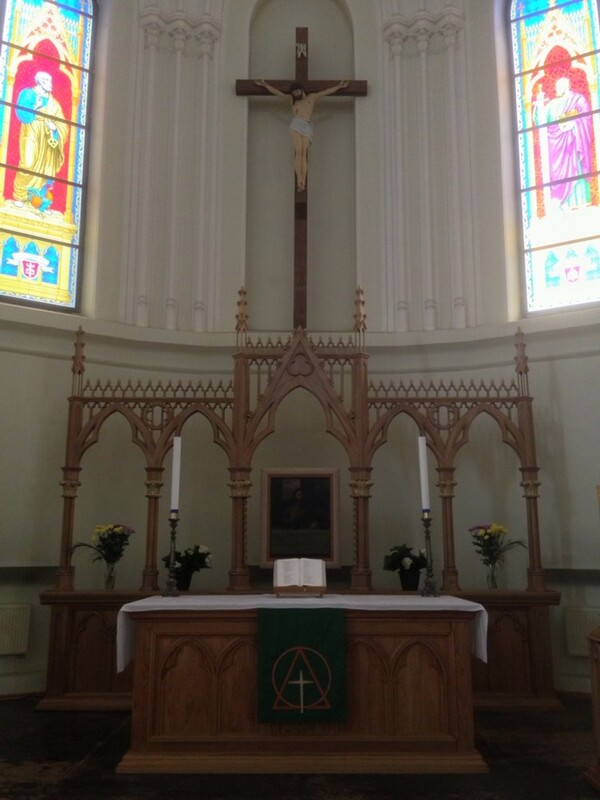 On April 20 the Evangelical-Lutheran Stt. Peter-and-Paul's Cathedral in Moscow was full of people, because there was not simply a concert, and not just music was performed. 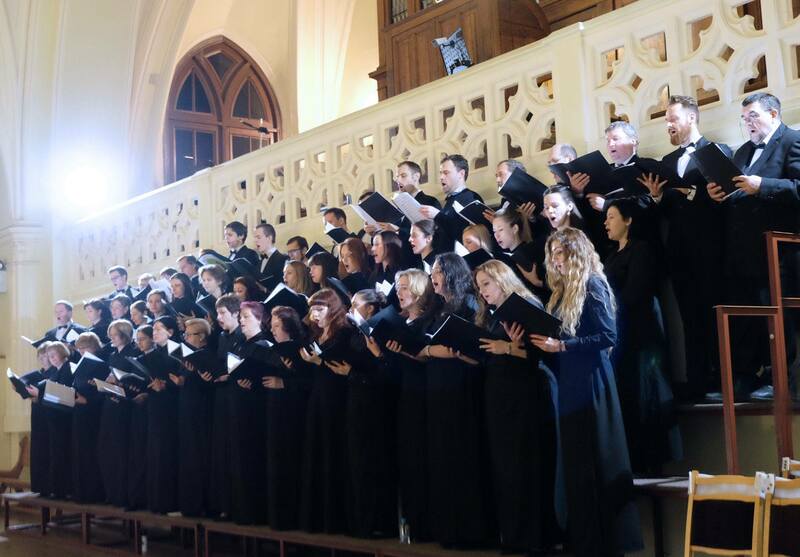 It was the “Passion According to St.Matthew” composed by Metropolitan Ilarion. Once the Lord inspired great Lutheran Johannes Sebastian Bach to compose his “Passion According to St.Matthew”. Likewise he encouraged Metropolitan Ilarion to compose a musical narration on sufferings and death of our Saviour Jesus Christ. The Gospel message heard and absorbed with faith, and combined with the pure melody of soul is a vital message of Jesus Christ. We understand with heart and reason, how close our Saviour is to us today, we hear His voice addressed to us personally, we perceive with joy God's love and presence in our lives. 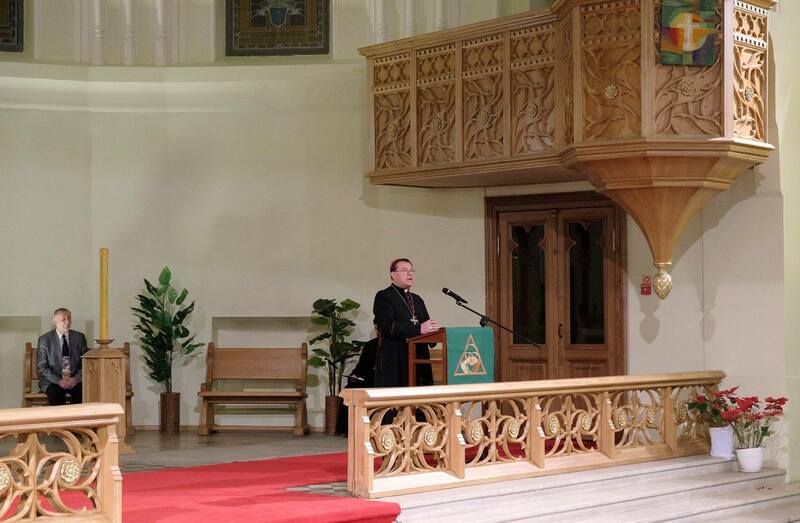 Bishop Dietrich Brauer wished all the present to be filled with the Gospel joy during the concert and thanked the Lord for inspiring the Metropolitan to preach Christ in this sincere and lively way. His Eminence Metropolitan Ilarion greeted the audience with the Easter greeting “Christ is risen!” and highlighted friendly relations between the Orthodox and Lutherans in Russia. Nobody remained indifferent to this musical and spiritual event. The words of the Gospel and the music of Passion moved heart of everyone. After the long applause Metropolitan Ilarion blessed believers. 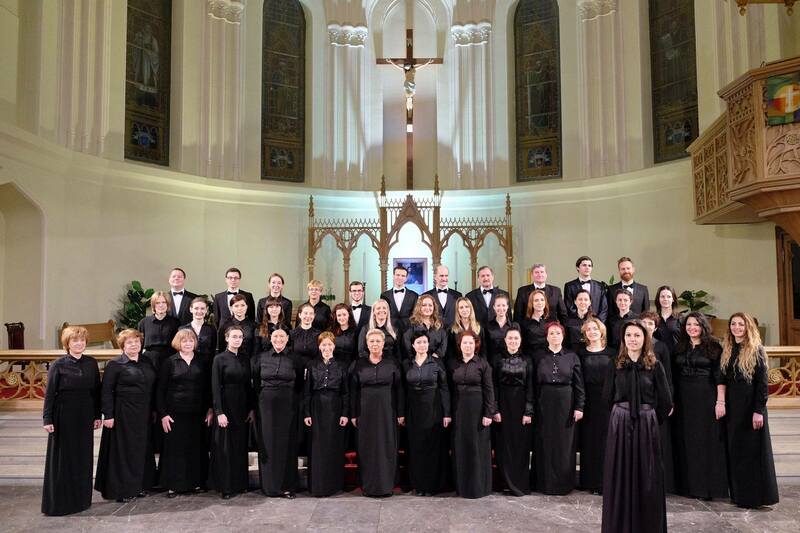 The performers of the concert were Hibla Gerzmava (soprano), Larissa Pominova (mezzo-soprano), Vitali Dudkin (tenor), Fedor Tarasov (bass), chamber capella Soli Deo Gloria, chamber choir Vocalitis, joint choir of Protestant churches of Moscow with conductor Oleg Romanenko. The lector was Pastor Konstantin Lisakov. 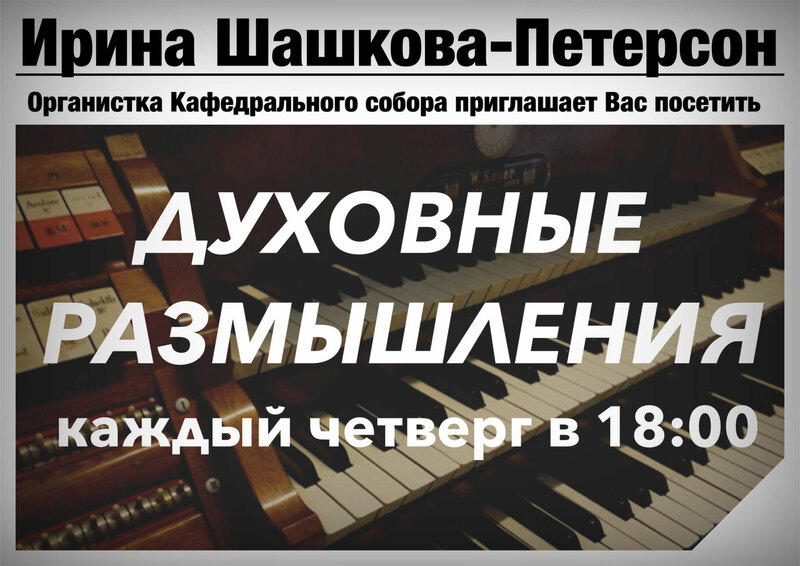 We thank our sister church – Moscow Bible Church for help in organizing this concert. “I was a stranger and you invited me in” - this is the topic of the World Day of Prayer 2013, which is prepared by France. 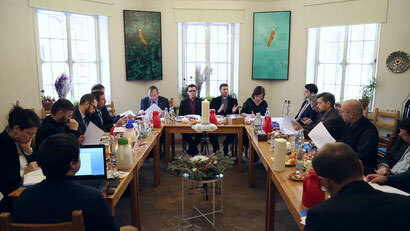 On February 9 there was a preparation seminar for the World Day of Prayer in St.Petersburg. The participants were sisters from the Orthodox, Methodist and Catholic churches. The organizing church is the Lutheran church. 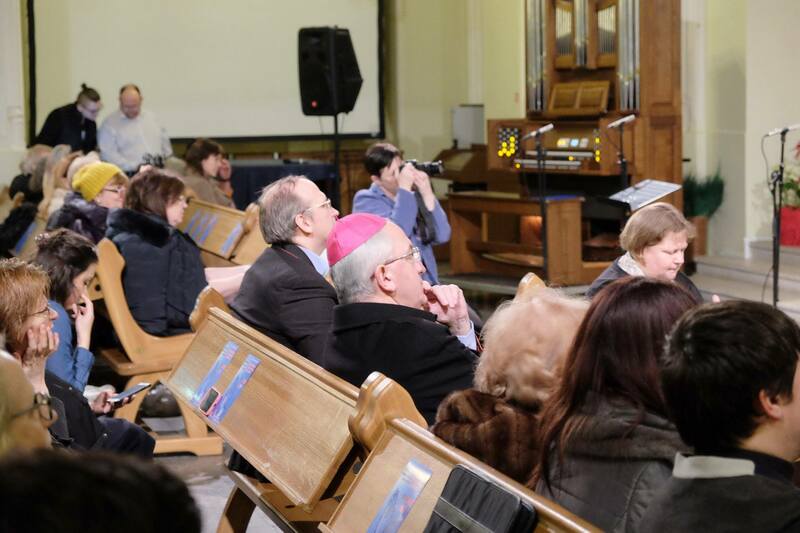 On February 15 there was a preparation seminar to the World Day of Prayer in Moscow – in Stt.Peter-and Paul's cathedral. The goal of the WDP is an informed prayer, a special prayer for the people, who we don't know, with whom we have language and cultural differences, however, we try to get acquainted with each other and to overcome borders with brothers and sisters far away. On February 15, 2013 Lutherans together with other representatives of the Western Christian confessions celebrated Ash Wednesday. In Moscow in in Stt.Peter-and Paul's cathedral acting Archbishop of ELC Dietrich Brauer held the service. In his sermon the Bishop highlighted the fact that 7 weeks of Lent is the time of risk, similar to the risk of biblical fathers and mothers of faith who left their usual lives and headed for adventures to which the call of God led them. In the end of the service all the present received a sign of the cross on their hands – it is the symbol of our mortality which becomes the light of Resurrection for believers. It was a joy to see many young people in church on that day. It means that the young people look for God in spite of all entertainments of the world around, and their quest is not in vain – God finds those who look for him. ossibility to testify about victory of Light over the works of darkness. In the end of the Day of Deanery there was a prayer about the church which longs for the future with the Lord. 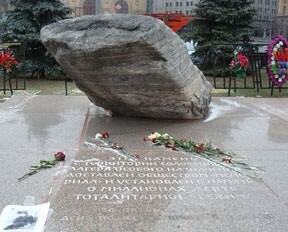 On February 1-2 in Volgograd there were memorial ceremonies, which were dedicated to the 70th anniversary of the end of Stalingrad battle. The Evangelical-Lutheran Church was represented by Dean Oleg Stuhlberg and Bishop Dietrich Brauer. 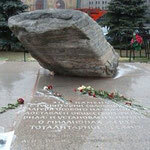 In the program there was a reception at the Volgograd region governor's, participation in the parade and laying the wreaths to the memorial “The Mamay Hill”. At the festive reception due to the invitation of the Holy Synod of the Russian Orthodox Church Bishop Dietrich Brauer congratulated Patriarch Cyrill on the occasion of the 4th anniversary of enthronement. In the name of all Lutherans of Russia the Bishop wished the head of the Russian Orthodox Church forces and wisdom in the ministry to the Church of Christ. The Patriarch thanked his brother in Christ for congratulations and promised to pray for brothers and sisters in the Lutheran church. On January 21 in the Roman-Catholic cathedral of Immaculate Conception of Virgin Mary there was the ecumenical prayer about Christian unity. 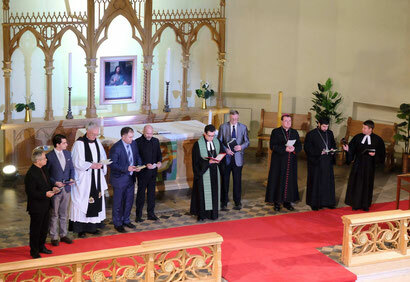 The motto of the event was the word from Micah 6:6-8: “What does God want from us?” Representatives of Catholic, Orthodox and Protestant churches took part in the prayer meeting. 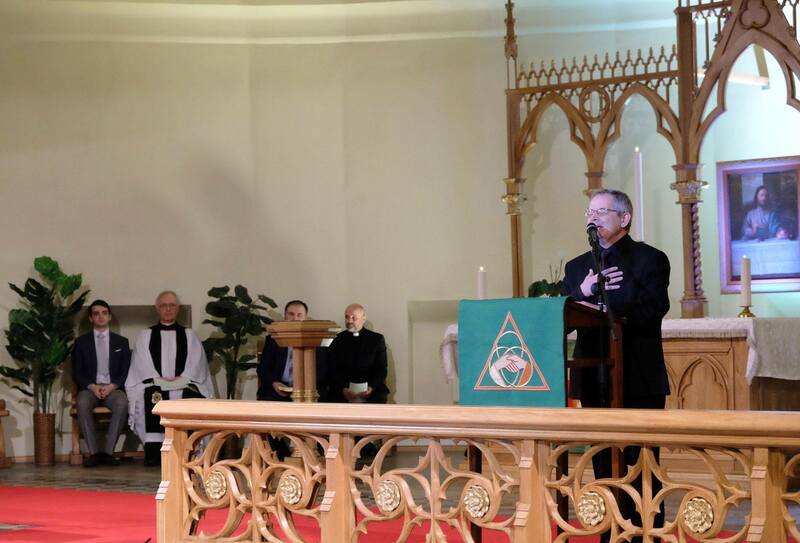 In his homily Bishop Dietrich Brauer expressed his hope that the Lord would show us in faith how to act just and would donate us love and charity and would teach us a humble life. In the prayer the Bishop addressed to God with words: “Lord of heavens and earth, we start listening to Thy Holy Spirit, Who calls us to unity in Christ. May us be more attentive to Thine inspiration and be ready to listen to each other”. On January 17, 2013 in the St.Petri Cathedral in St. Petersburg there was a working meeting of the Bishop of the Church of Ingria Arri Kugappi, Bishop Dietrich Brauer, Rector Anton Tikhomirov and the manager of the ELC administration Marina Khudenko in the frame of the Russian National Committee of the Lutheran World Federation. 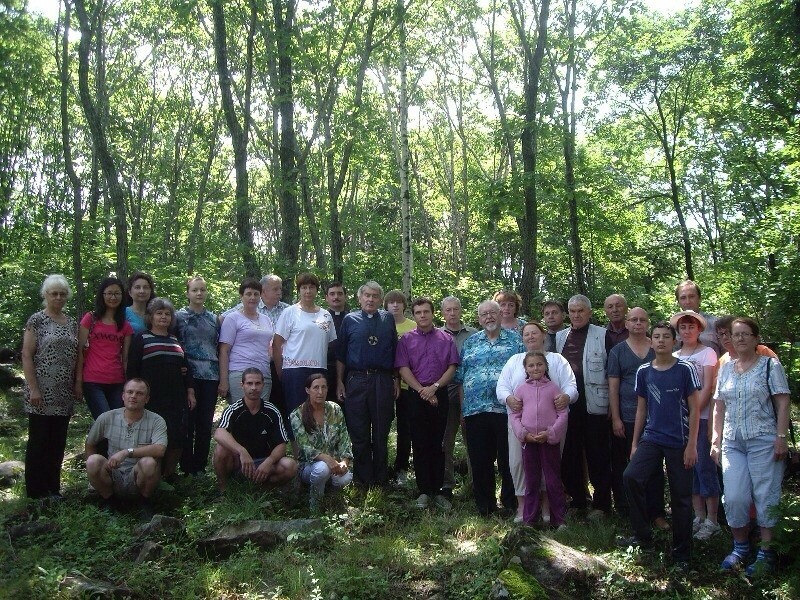 The participants exchanged news about life of churches, discussed the possibilities of the further partnership on questions of education and joint exploitation of church objects and other questions. On January 16 there started a course of lectures on homiletics and liturgics which lasted till January 30. The opening of this course took place in St.Catherine's chapel of the Seminary. In his sermon Bishop Dietrich Brauer addressed the students with the words of the watchword of the year from Hebrews 13:14 and blessed the students. Then there was a talk of the Bishop with the participants of the course. 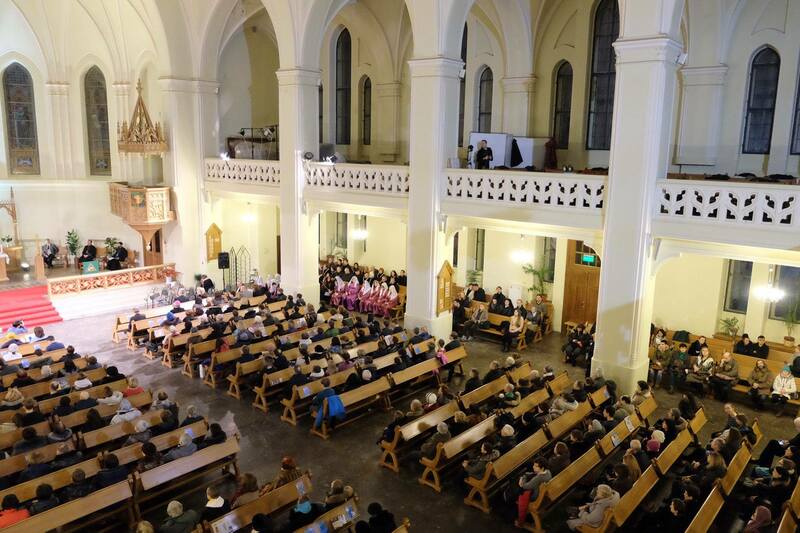 On December 15 a musical worship service “Advent time” took place in the cathedral. 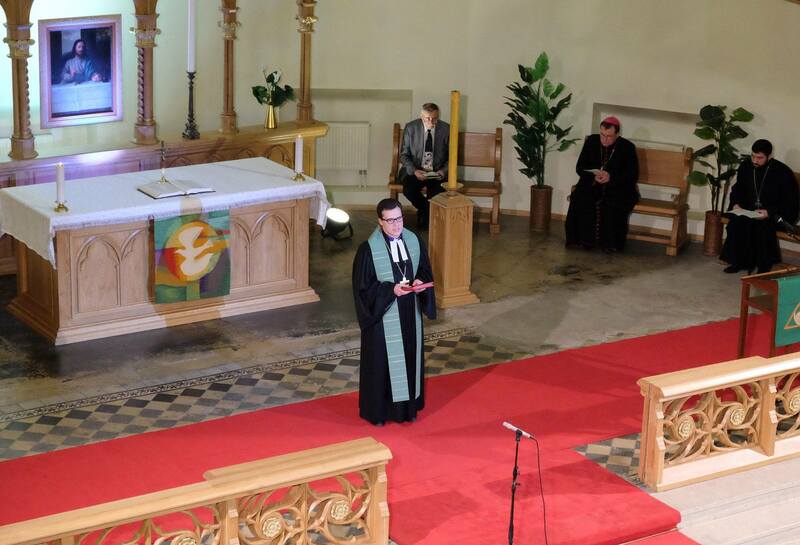 Famous Advent and Christmas tunes, readings from Holy Scriptures, sermon of Bishop Brauer about the significance of Advent were the main parts of the service. In the end of the service all parishioners stood up and sang famous Christmas hymns. 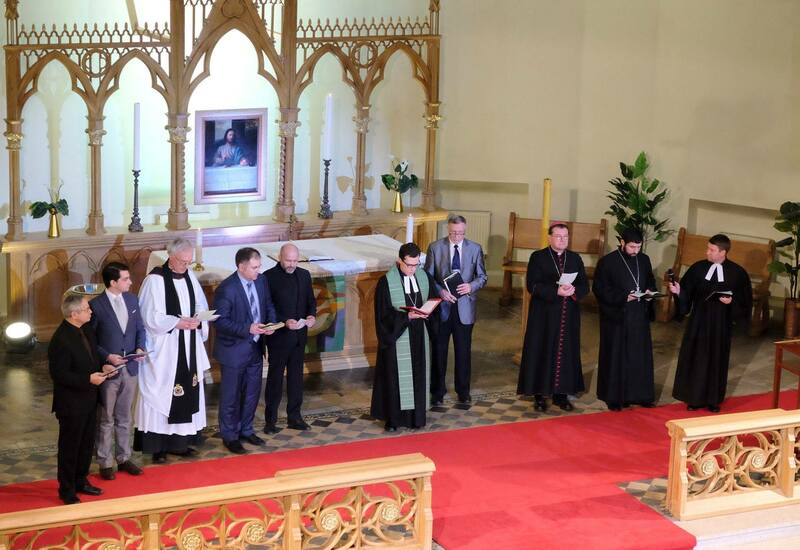 On December 16 in Stt.Peter-and-Paul's Cathedral there took place an installation of Elena Bondarenko in the service of the Dean of the Central Deanery of ELCER. The blessing was given by acting Archbishop of ELC Bishop of ELCER Dietrich Brauer. He was assisted by the head of GAW-Wuertthemberg Manfred Wagner, Professor of New Testament Ulrich Heckel, Pastor of Moscow congregation Andrey Bobilev, Pastor of the German embassy congregation Christina Schnepel. 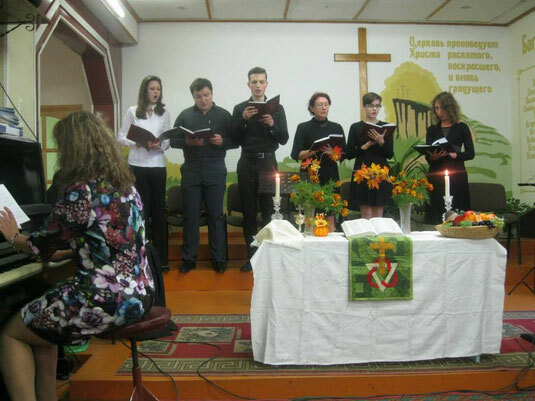 Pastor Elena Bondarenko had served as an acting dean in this region for more than a year. 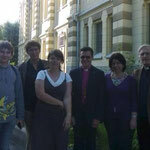 Smolensk and Yaroslavl, Stari Oskol and Kostroma are the cities, where congregations of Central Deanery are situated. The Central Deanery had had no clear structure and permanent leader for a long time. Elena Bondarenko came across many problems: lack of worship spaces or need in the capital restoration, lack of pastors and stability in congregations. However, the work of this year brought its fruit: the problem with the worship space in Stari Oskol and Smolensk was solved, in Yaroslavl the restoration of the church continues, and a new intern works in the congregation. More things should be done further. Representatives from Yaroslavl and Smolensk, and also from the French-speaking part of Moscow community, where Elena had recently regularly worked, came to congratulate her. A good sign on that day was the baptism of a congregation member from Smolensk. We wish Dean Elena Bondarenko a blessed ministry and joy in her service! On December 13 on St.Andrew's day in Stt.Peter-and Paul's cathedral in Moscow there was the Bible Day, which gathered leading biblical theologians, philosophers and translators from Russia, and also guests from abroad. The topics of reports were different, they spoke about the problems of translations and authenticity of sources, social and cultural contexts, connections of the Bible and literature and many others. The final reports belonged to guests from Germany. Professor Ulrich Heckel made a report “The Baptism From the Protestant Point of View”, where he presented a detailed historical analysis of the understanding of this Sacrament and its meaning of the Protestant context. Professor Manfred Wagner made an interesting report on the topic “Presence of Martyrs in the Evangelical Church”. After the main part there was the presentation of the book by Ulrich Heckel and Peter Pokorni “Introduction Into the New Testament. Survey of Literature and Theology of the New Testament”.